Is TAH a failed project? 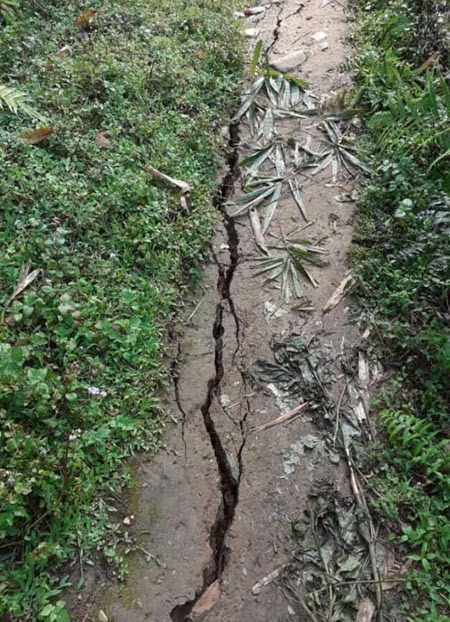 ITANAGAR, Jul 5: Even before it took off fully, the Trans-Arunachal Highway (TAH) project has run into massive problem with the construction agency withdrawing from the project, citing reasons which are set to embarrass the state government. While various factors have been cited for the failure of the project, a look into the damning foreclosure letter written by the Potin Pangin Highway Pvt Ltd (PPHL) – the construction agency engaged to construct the Potin to Pangin stretch of the TAH – gives a clear picture of the cause of failure. This stretch could have provided a two-lane NH standard road from Potin to Pangin, via Yachuli, Ziro, Daporijo and Aalo. In its letter to the secretary of the union ministry of road transport & highways (MoRTH), the PPHL explained the reasons for closing the project. “The letter of award of work was issued on 18 January, 2012, and concession agreement was signed on 14 August, 2012. After receiving the letter, we mobilized massive resources including machineries, manpower, etc, and also submitted performance security guarantee money. As per agreement, authorities were supposed to hand over 80% of the Right of Way (RoW) on or before the appointed date,” the PPHL wrote. However, the problem started with it. “The authorities could not hand over land due to issues like payment of compensation for land, payment of compensation for private forest, removal of encumbrances, and shifting of public utilities as per concession agreement. We wrote several letters to authorities but all in vain. Only in December 2017, during a joint inspection by state government authorities and independent engineers, the state government confirmed availability of 80% RoW. “Despite all the difficulties, we carried out work in a few stretches which were made available to us,” it said. The PPHL alleged that by showing 18.07.2014 as the appointed date without even handing 80% of the RoW, the state government forced it to maintain road and bridges during the development period, incurring huge expenditure. “It is a fact that we did not receive any payment from the authorities, either towards expense incurred for construction or maintenance or loss suffered on account of abnormal delay in handing over of RoW,” it said. “We express our inability without prejudice to our rights and contentions to continue with the concession agreement, as it is not viable under the present circumstances, and therefore we have no other option except to foreclose the concession agreement,” the PPHL wrote. It is also alleged that the construction agencies faced hostility from the public in the areas where it carried out work. Constant attack on its employees, and even cases of direct and indirect extortion reportedly took place. The PPHL, a Hyderabad-based company, signed an EPC contract with Naharlagun-based TK Engineering Consortium Pvt Ltd on 19 September, 2014, to construct the Potin to Pangin stretch of the TAH. Reportedly, both the construction agencies, especially local contractor TK Engineering, which had mobilized all the resources on ground, suffered massive losses due to the closure of the Potin-Pangin project. With the PPHL withdrawing from the project, there is a question mark over the future of the project. At present the Potin-Pangin TAH project is caught in a massive controversy over allegations of illegal payment of compensation, especially in Lower Subansiri district. The greed for compensation money, along with lack of political will and hostility towards private developers are the main causes for the failure of the TAH project. The majority of the TAH project falls under the parliamentary constituency of MoS for Home Kiren Rijiju. During a public rally at Borum village in January 2017, Rijiju had expressed concern over the slow progress of the project, stating that it might become an “issue” for him during parliamentary elections. Going by the current trends, it seems that TAH, the dream project of the people of Arunachal, is failing miserably to become a reality. Barring a few stretches, the majority of work on the TAH project has either stopped or is on the verge of stoppage. Once completed, the highway would have provided seamless road connectivity between various district headquarters of the state.